It's the most wonderful time of year...for genealogists! It's not time for Christmas but it sure feels like that for us genealogists! RootsTech registration opened this week on Wednesday, September 20th. 3. You can nominate apps, products or services in the family history industry. Submissions are due 10/15. More information can be found here. Early bird pricing on 4-day passes are available for a limited time. I recommend buying early! You can buy the pass and go back to add/change anything for your upcoming trip (such as luncheons, computer labs, etc. These do fill up! Need more reasons to attend RootsTech? Here are 8 reasons! 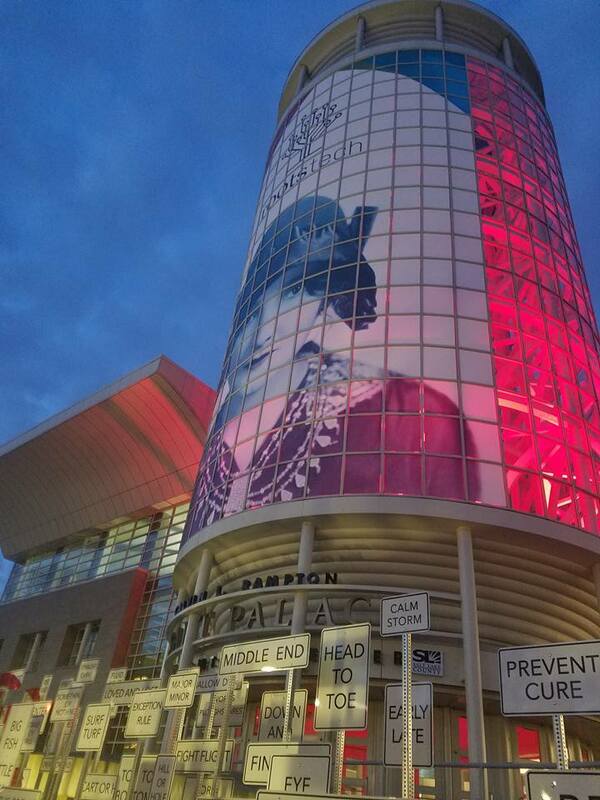 I also wrote up a blog post about my experience to RootsTech last year as a first timer. Don't forget that I'll have an upcoming giveaway for a free 4-day pass to RootsTech. Stay tuned for updates! As genealogists we love to explore cemeteries, archives and libraries to dig into our research. On my most recent trip to Steuben County, NY for a business trip, I snuck in some genealogy time to explore the Southeast Steuben County Library. 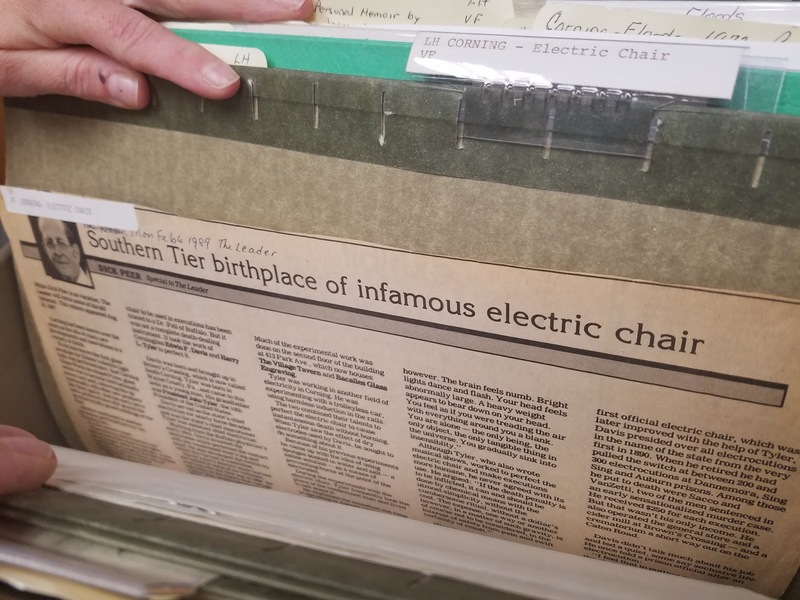 I started poking around the web site and discovered they have a local history room. I asked at the circulation desk and they mentioned it was locked, that a staff person had to open the room and be in the room with me. I asked at the reference desk if they could let me in and they called over one of their staff, Jessica. 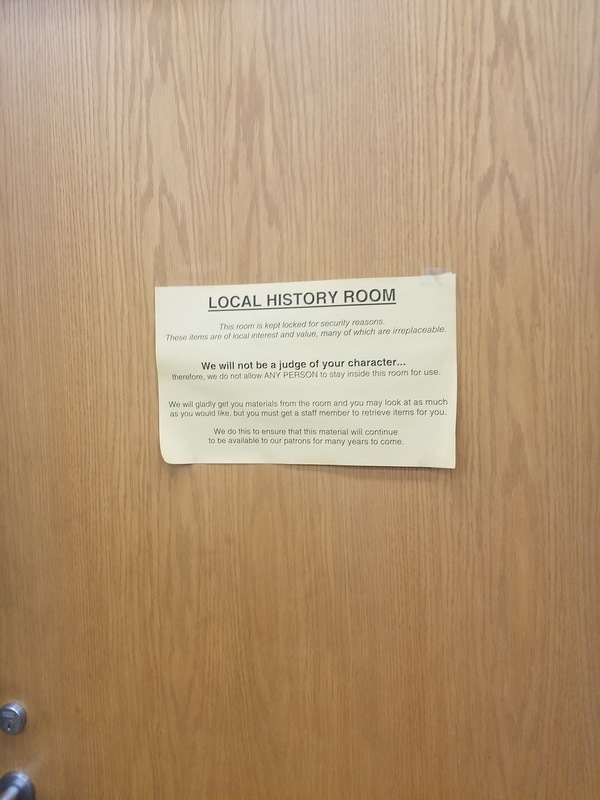 Jessica opened the door to the local history room. Below is a picture of the room door. The library is very serious about keeping their collections intact. I started exploring the room. They have hundreds of books about local history, maps, photos about Steuben County, New York State, as well as neighboring states. Their web site has a list of some of some of their newspaper holdings and they also have volunteers that will research on your behalf for a small fee by submitting the following request. If you're interested I have a small brochure of additional information I can scan for you. 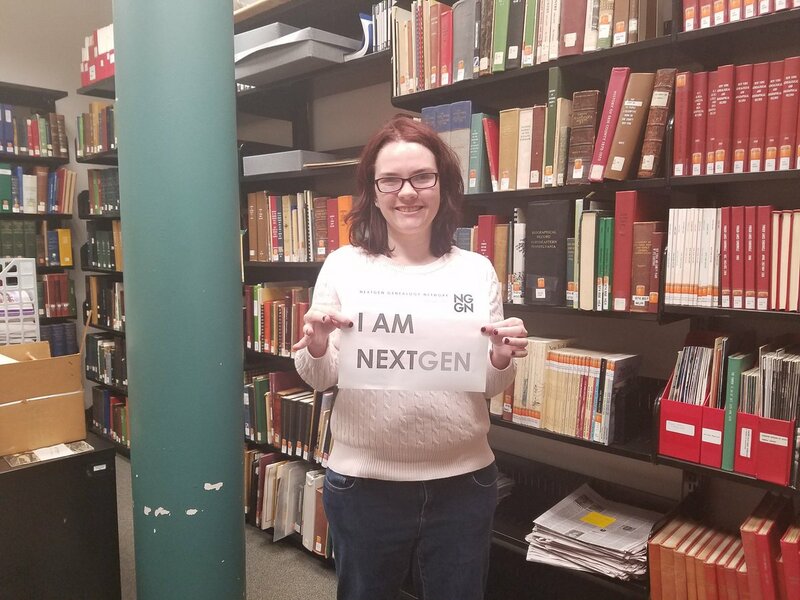 And of course before I left I asked for a picture as part of the #nextgeninaction campaign we just launched at NextGen Genealogy Network. What local libraries have you explored?